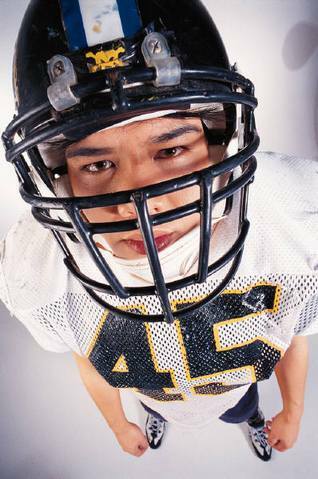 Teen Athletes: How Do They Strike a Balance? I express my understanding. It really does sound like a rigorous routine and I tell her so. She responds with a big sigh. She tells me they don’t know what to do. She reports that she and her husband are torn up and confused it. He has a tutor twice a week and still his grade are low average. When he was younger, they often made him cut down on participation in team practices and on occasion games. Now however, he is in high school. If he misses practice or games he is off the team. If he doesn’t keep his grades up the school won’t let him play. He is a talented athlete. She and her husband are convinced (and perhaps rightfully so) that his self-esteem rests in his confidence about his athletic skill. To take this away they realize would cost him a price they are not willing to ask him to pay. Her concerns highlight just a few of the challenges faced by teen athletes. Do people really understand how difficult it is to “do it all?” I pause to think a moment before responding. I am aware that there is no easy answer or ‘perfect’ solution. As a senior, I understand what to “do it all” means. During August-October, it was cross country (running) season for me. Throughout the time, I was struggling with my grades and trying to make varsity to be one of the top six runners to go to District and State XC. Being a national honor student, my grades were extremely vital for me, and balancing the harsh training of the sport trying to stay sane was extremely difficult. I felt as if I had to be a superhero – get everything done and done right with fantastic results. The thing is, no one can be superman. The important thing is that parents sometimes expect their teenage children to be superman, but they can’t. It is important for a parent to understand that a student also needs a break on a Saturday or Sunday. Don’t yell at your kid for not doing their homework on Friday night right after school – they need to chill, just like this kid explained above. If a parent or parents takes away the school involvement beyond the classroom, self-esteem and college interests will start to disappear.